While wandering down Harajuku, we spotted S,you. S,you was wearing a white top from Alexander Wang under a John Lawrence Sullivan black zip-up jacket with leather sleeves. He also wore vintage black skinny ripped jeans cinched at the waist with a black leather grommet belt. A circular coin purse is also attached to one of his belt loops. 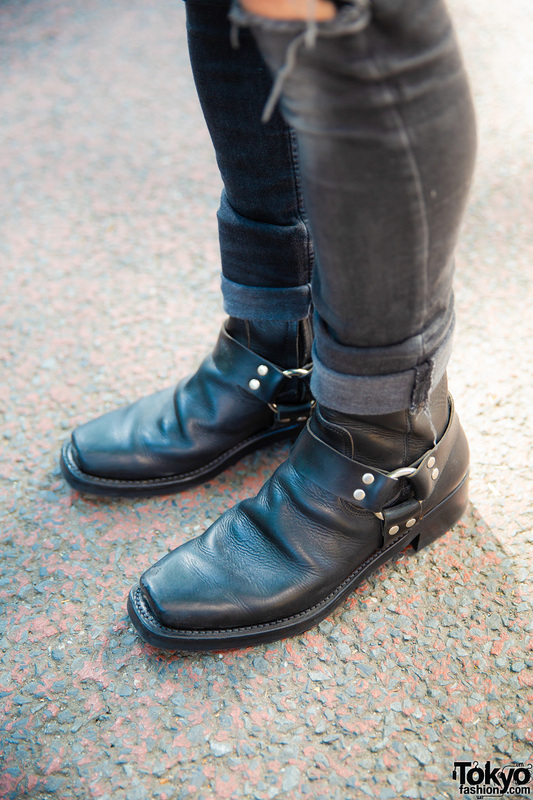 The cuffs of his jeans were rolled up to reveal black buckled boots from John Lawrence Sullivan. A black mullet, several silver rings, gold hoop earrings, a gold necklace, and round sunglasses with gold frames completed his look. His accessories are from Blackmeans. 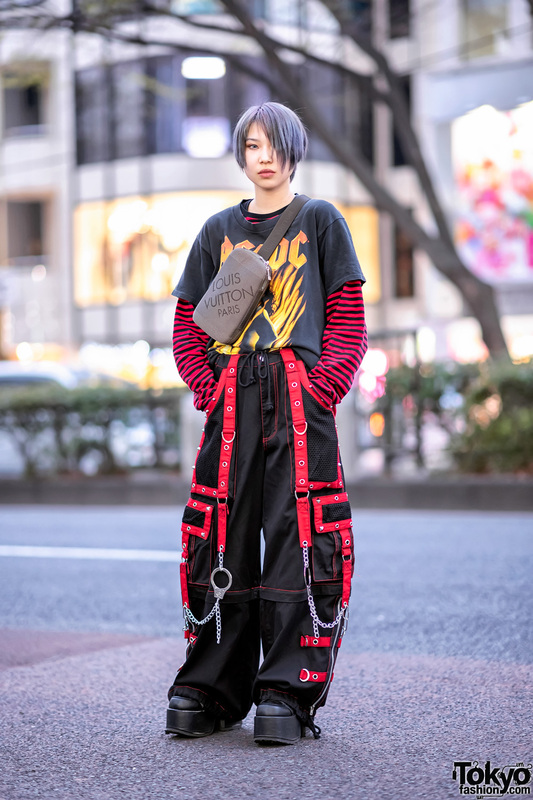 The Symbolic Tokyo is where S,you prefers to shop for his fashion favorites. Check out his Instagram account, where he regularly posts social media updates, to learn more about S,you.